Sounds of race cars zipping around the track and images of tranquil sandy beaches may seem to be at odds anywhere else but Daytona Beach. Here, visitors will find the raceway and beautiful oceanfront as not only a fact of life, but the perfect, if not unique, combination of fun. Daytona Beach offers endless opportunities for things to do that can only be found in this side of the Sunshine State. Since 1925, Angell & Phelps have been a generational family favorite in Daytona Beach. This chocolate confectionery crafts high-quality, handmade fine chocolates and offers free samples with every free, guided tour. The factory offers ADA accessibility for wheelchair use and strollers. Each 20-minute tour invites guests to view the behind the scenes operations of chocolate making. Tours run once every hour between 10:00 AM and 4:00 PM throughout the week and including Saturday. On Sunday, tours are open between noon and 5:00 PM. Small groups are welcome to arrive at any of the designated tour times, however it is encouraged for groups larger than 15 to call ahead to schedule a reservation. This one-stop destination for family fun packs a water park, arcade, and an 18-hole mini golf course all into one place. For those looking to stay dry, Daytona Lagoon’s MEGA arcade offers over 70 immersive games with select games offering the opportunity to earn points to be redeemed for major prizes. The Lagoon also offers indoor laser tag, a rock climbing wall, and go-karting. The water park offers a variety of open and enclosed slides for older riders and an activity park with water options for smaller guests. 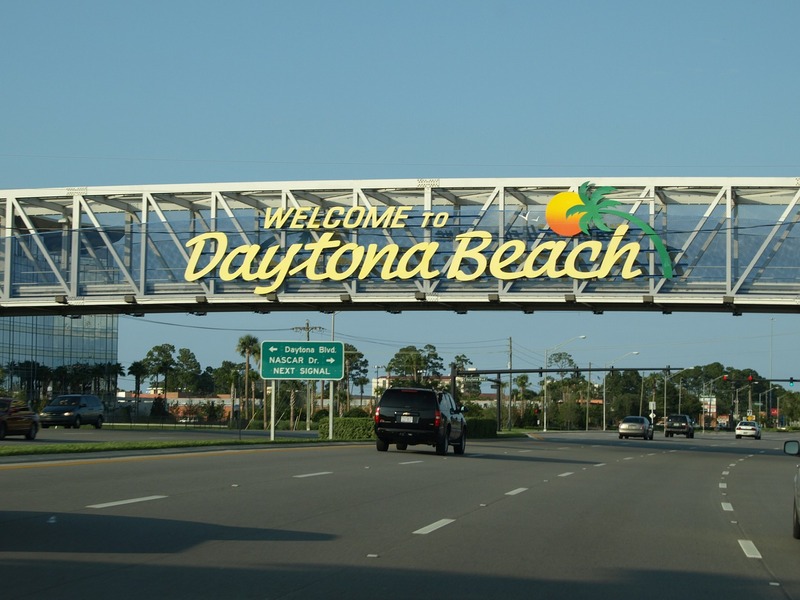 Daytona Lagoon is located in the heart of Daytona Beach in convenient proximity to a variety of hotels and resorts. Boasting the most attraction activities in Daytona Beach, Daytona Lagoon offers a huge range of entertainment options to be enjoyed by all ages. Both the shore and the pier are bustling with crowds and excitement. The beach is known for its hard-packed sand suitable for driving cars onto the beach. Although the cars driving along the shore have raised concerns by parents and sunbathers alike, the beach also features a mile-long pedestrian only zone along the pier. To deter drivers, walking on the beach is free but driving on the beach will cost you a fee of five dollars. The 23-mile long stretch of sand and surf is universally enjoyed by all visitors. Alongside umbrellas and beach chairs perfect for lounging, guests are invited to rent all-terrain vehicles, bicycles, and golf carts to zip around the coastline. Ready to get up close and personal with Daytona Beach? Sign up for a stand-up paddleboard group tour to spot manatees and dolphins alongside a trusted tour guide. A truly unique experience, guests that embark on the two-hour guided tour will paddle along the ocean surf wading through calmer water to greet groups of friendly dolphins and manatees. New to paddle boarding? You won’t be alone. Most guests signing up for the tour are far from pros. Each tour begins with a demonstration on dry land before moving on to a lesson on the do’s and don’ts of paddle boarding. The tour takes visitors on a scenic adventure encompassing beautiful coastline sights. Points of interest along the tour include a nearby island, bridges, canals, and a Yacht Club. The selected waters traveled by the group include marine life hot spots with high concentration of manatee and dolphin activity to increase the chances of greeting one of these sought after marine mammals. Be sure to make reservations in advance as this attraction fills up quickly! Since its opening in 1959, the Daytona International Speedway has been attracting racing fans from across the country. The Speedway is home to the Daytona 500 and the Coke Zero 400 held each year. The Daytona 500 is regarded as one of the most important races in NASCAR being the first race of the Monster Energy NASCAR Cup Series. The raceway also hosts an annual country music festival and smaller, 250-mile race near the Fourth of July. If you’re not in town for the Speedway’s two premiere events, stop by the track on your visit to Daytona and take a ride in a race car! The Richard Petty Driving Experience allows guests visiting the raceway to ride shotgun inside a real NASCAR race car for three exhilarating laps around the track! Your experience package includes a meet-and-greet with an instructor including a safety lesson before suiting up in head-to-toe professional gear. Buckle up and prepare to zip around the track at speeds topping 145 mph!